Deutsche Bank recently filed the video with the clerk of court as evidence in its bid to overturn a judge's ruling in the case in which Kalongianis represented the Land O' Lakes homeowners. The ruling dismissed the case and awarded him $45,530 in attorney fees and costs. Kalogianis, a well-known Pasco attorney, real estate developer and former congressional candidate, has been accused of doctoring records in several cases to benefit his clients and block foreclosure. Depending on the circumstances, altering official records can be a felony offense. In the most recent video to come to light, a surveillance camera in a Pasco clerk's office shows Kalogianis checking out a file on Jan. 16, 2015, and carrying it to a table. He thumbs through the file, appears to take something out of a folder and presses down on a paper in the file. He then returns the object to the folder. 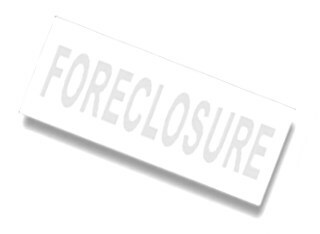 A few months later, Deutsche Bank as trustee won a final judgment of foreclosure and the home was set for auction on June 6, 2015. However, Kalogianis filed a motion for a rehearing, partly on the grounds that Deutsch didn't have standing to foreclose. A judge agreed, and in July 2015 dismissed the case and awarded Kalogianis fees and costs. In a separate foreclosure case, Bayview Loan Services earlier this year submitted a surveillance video from May 2015 that also seems to show Kalogianis stamping something on a paper in a court file. Bayview accused him of doctoring records in that and other cases to make it appear that the party that filed the foreclosure actions did not have legal authority to do so. In both the Deutsche Bank and Bayview cases, the delinquent borrowers represented by Kalogianis still have their houses. Kalogianis, 53, did not return calls for comment Monday but previously denied any wrongdoing. Pasco Clerk of Court Paula O'Neil could not be reached by phone and did not respond to an email asking if law enforcement authorities are investigating claims that Kalogianis tampered with official court files. In an unrelated matter, the Florida Bar has recommended that Kalogianis be disbarred for five years for failing to disclose he was in serious financial trouble when a client invested $227,644 with him in 2007. She lost all of her money; he allegedly used $60,000 of it to add crown molding, hardwood floors and granite countertops to his new $1 million home in a subdivision he was developing in New Port Richey. A Hillsborough judge acting as referee in the Bar's case against Kalogianis is expected to issue his own recommendations for penalty later this month.